Whether you’re an experienced trainee or someone who is looking to train with a coach for the very first time, we develop an individualized plan for you. Whether you are a beginner or an elite athlete, we have the experience and the knowledge to guarantee your results or your MONEY BACK! We pride ourselves on maintaining the highest level of professionalism and service. We have been rated Top Business Service Provider the last 2 years running. We deliver individually tailored Training and Nutrition programs at the best possible value to help you reach your transformation goals. We specialize and cater to those seeking Lean Body Composition, Muscle Building & Strength Training, Athletic Performance Enhancement, and Nutritional Optimization. 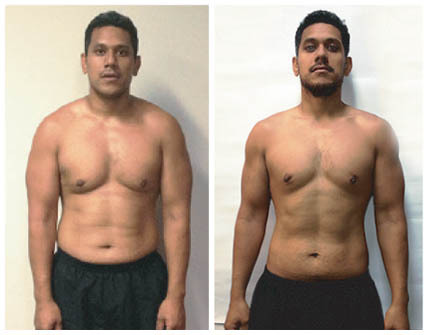 Changing body composition is a common goal for many athletes, gym goers and want-to-be fitness enthusiasts alike. If you are looking to cut body fat and enhance definition, Performance Revolution offers integrated training and nutrition methodologies to help you attain and maintain your optimal physique. Whether you are a figure competitor or someone just looking to drop 10kg of stubborn body fat, we have solutions for you. "The greatest compliment I get now from others is that I look FIT - and that's far better than looking skinny!" Start reclaiming your youth and become the fitter and leaner version of yourself today! Not feeling the greatest? Are your energy levels low? 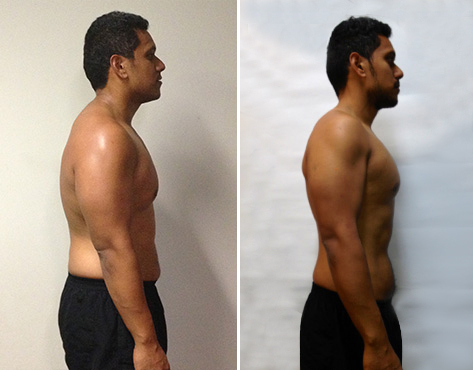 Are you frustrated with your lack of body composition results to date? It’s highly likely you need some nutritional intervention. 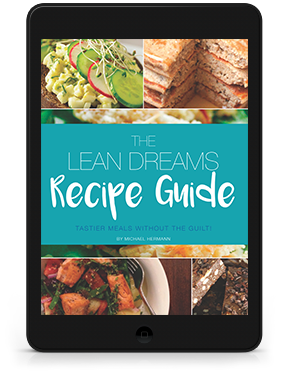 Whether you are aspiring to Feel Better, Perform Better, or Look Better , if proper nutrition is not a fundamental cornerstone of your plan, sub-optimal results will always be the result. To ensure the best results, Performance Revolution integrates Individualized Training Methods with Customized Nutritional Strategies to remove limitations and incorporate lifestyle needs to propel you towards your goals. 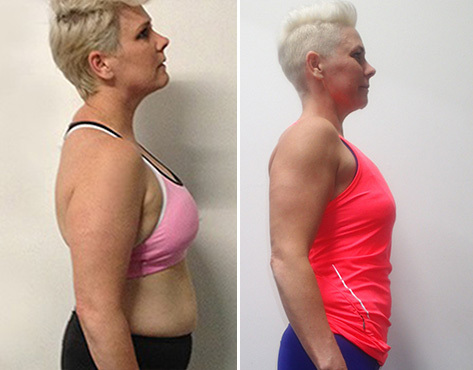 Despite being intolerant to egg, gluten, dairy, yeast, and shellfish, Amy transformed her body to compete in her very first fitness competition. Whether you have a plethora of food limitations or you can eat everything under the sun, we will help you get the body composition and performance goals you are seeking. Start reclaiming your body and your energy today! Feeling weak and looking weak? Do you lack muscular definition and strength? Lacking muscle mass and the strength has its disadvantages from not only an aesthetic standpoint but also from a functional foundation too. Performance Revolution offers periodized training programs and progressive nutritional plans to increase lean muscle mass and build a balanced foundation of strength in all major movements and lifts. We offer training in the disciplines of Olympic Weightlifting, Powerlifting and Bodybuilding. 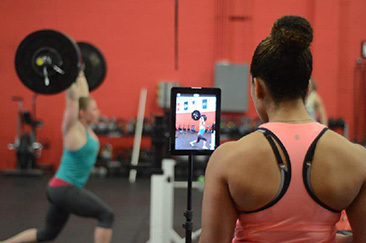 Whether you are looking to compete or just seeking to enhance your training through the integration of the aforementioned methods, we have an individualized plan for you.
" 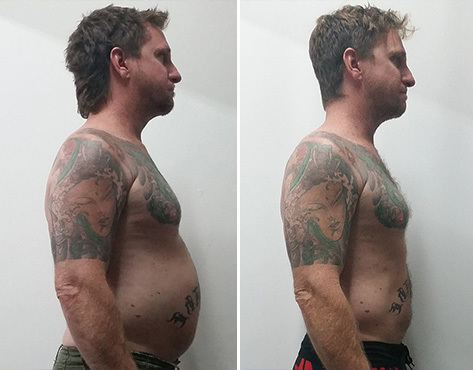 With Performance Revolution’s guidance, I lost 14.3kg of body fat and gained 1.2kg of muscle mass in 12 weeks "
Start reclaiming your youth and become the stronger and more muscular version of yourself today! From amateur level competitors to elite athletes, Athletic Performance Enhancement is a fundamental goal. If your pursuit involves increased Strength, Flexibility, Speed, Endurance, or a combination of physical qualities, Performance Revolution offers comprehensive training methods to enhance your performance no matter what level of competition you are involved in. We have trained athletes in 10 different sports from amateur to elite level. Whether you’re a recreational athlete or a seasoned pro - put your previous shortcomings to rest and start reaching peak performance today! Michael Hermann is the Founder and Director of Performance Revolution, a company dedicated to helping people reach their physical potential. Michael began his career foremost as a trainer and strength & conditioning coach, accruing over 10,000 hours of practical experience. His clientele ranges from everyday people with health and body composition goals to national level athletes looking to enhance performance. 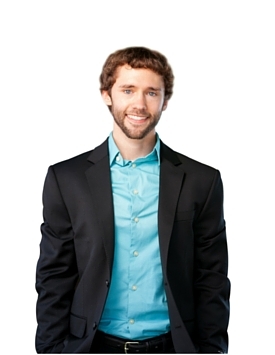 In addition to his hands on experience, Michael is an author and contributing writer for popular fitness magazines and blogs. He also uses his skills and experience to mentor and lecture other aspiring trainers at various Australian colleges and institutions. If you are looking for someone who will get you leaner, stronger and more athletic, Michael will push your limits and guide you to the results you crave. Carla Finch is an ESSA Accredited Exercise Scientist, currently undertaking her masters in Exercise Physiology. 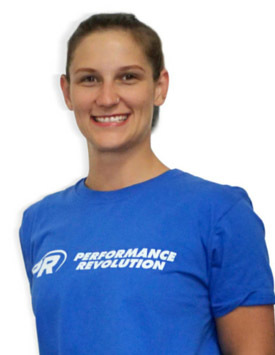 As well as a solid educational background Carla has had hands on industry experience for the past 5 years, coaching in various modalities of training ranging from Olympic lifting to pre-hab/rehabilitation programming. Coach Carla takes the preventive approach to health and is passionate about transitioning her clients to optimal function and performance. 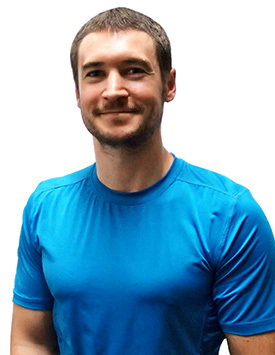 Dylan Jones is a Registered Dietitian and Clinical Exercise Specialist. His educational background includes degrees in Human Nutrition and Exercise Physiology & Metabolism. In addition to his strong educational foundation, Dylan also possesses vast practical experience in his fields - working in hospitals, weight loss centers, medical facilities and with competitive athletes. Dylan is passionate about viewing food as medicine and relying on daily exercise for wellbeing. So much so, that he currently runs a clinical Bariatric program to educate and provide nutritional and lifestyle solutions for diabetics.